As scheduled, Honor has launched the 20i smartphone in China today. 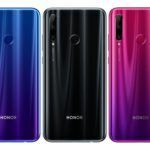 It is the first device to launch in the Honor 20 lineup, and it is expected to be the most affordable device in the series (the two other Honor 20 series smartphones, the Honor 20 and the Honor 20 Pro are scheduled to launch in May). Let us check out the availability, variants, price, and specifications of the Honor 20i. The Honor 20i comes in four variants. The first variant has 4GB RAM + 128GB storage, and it costs CNY 1,599. The second variant has 6GB RAM + 64GB storage, and it costs CNY 1,599. The third variant has 6GB RAM + 128GB storage, and it costs CNY 1,899. The fourth variant has 6GB RAM + 256GB storage, and it costs CNY 2,199. The Honor 20i will be available to pre-order starting from 10:08 AM on 18th April. The device can be pre-ordered (or purchased) from online stores like VMall, TMall, Suning, VIP, and JD. Honor has not revealed the availability details for markets outside China. Rumor is that the Honor 20i will launch as the Honor 20 Lite other countries. And India could be one of them. 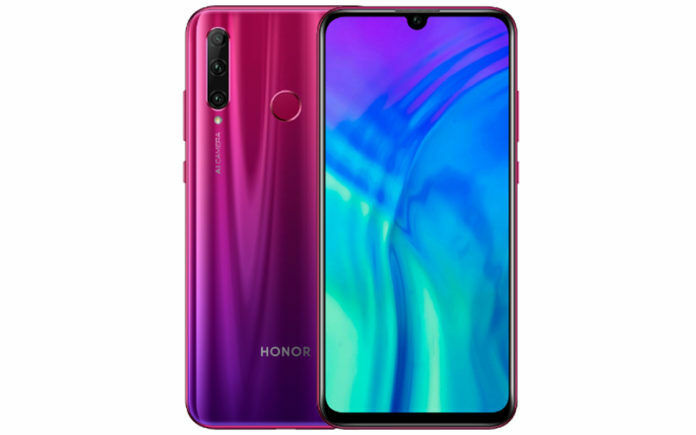 The Honor 20i features a 6.21-inch IPS LCD with Full HD+ resolution and 19.5:9 aspect ratio. The display has a U-shaped notch at the top. And according to Honor, the device has more than 90% screen to body ratio. The Honor 20i has a 24MP + 8MP + 2MP triple-camera setup at the back, where, the 24MP camera is the primary shooter, while the 8MP camera is an ultra-wide unit, and the 2MP camera is a depth-sensor. According to Honor, the 24MP camera is assisted by AI to capture more detailed images. For selfies, the device has a 32MP camera. And Honor says that even this camera is AI-assisted. With assistance from AI, users can tinker with their selfies and modify the aspects of their face. Powering the Honor 20i is the in-house developed Kirin 710 SoC. This chipset has octa-core CPU (4x Cortex-A73 and 4x Cortex-A53) and Mali-G51 MP4 GPU. The device comes in four configurations – 4GB RAM + 128GB storage, 6GB RAM + 64GB storage, 6GB RAM + 128GB storage, and 6GB RAM + 256GB storage. On the software front, the device has Android 9 Pie OS with EMUI 9.0 customization. The Honor 20i is backed by a 3400mAh battery, and it supports 10W fast charging. The smartphone packs outdated connectivity options such as microUSB port, Wi-Fi b/g/n, and Bluetooth v4.2. Considering the price of the device, and the fact that it is a 2019 smartphone, it should have had USB Type-C port, dual-band Wi-Fi ac, and Bluetooth v5.0. Do let us know in the comments below what do you think about the Honor 20i.